The School of Entrepreneurship and Riata Center operate within a broader ecosystem that provides support to business startup and technology commercialization efforts on campus. This ecosystem is vibrant and is growing each semester. The following two tables describe the ecosystem. Check back frequently because the ecosystem continues to grow. Table 1 contains a list of Oklahoma State University units that are part of the ecosystem. Table 2 contains a list of units external to Oklahoma State University that are vital to our ongoing activities and provides our students and faculty assistance and support. You are welcome to contact any of these units to learn more about them and take advantage of the services they have to offer. Active entrepreneurship center that engages in external outreach, student support, and facilitating business startup activity on campus. One of the most comprehensive “entrepreneurship-focused” academic departments in the country, with full undergraduate and graduate curriculums. Administrative unit that provides overall leadership for entrepreneurship and tech transfer on campus, and supervises Cowboy Technologies, the Technology Development Center, the University Multispectral Laboratories, and the National Energy Solutions Institute. Helps Oklahoma small manufacturers along with OSU faculty, students and staff develop and commercialize product ideas. Hands-on Fab Lab in the College of Engineering, Architecture and Technology on the OSU Stillwater campus. State-of-the art research, development and education center located on the OSU-Tulsa campus. 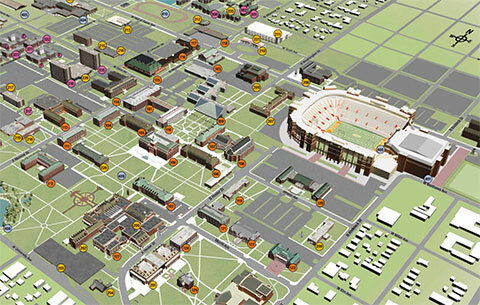 A space where OSU students, faculty and staff can transform their app ideas into functioning web and mobile apps. Processes OSU faculty-generated invention disclosures and provides advice to faculty and students on intellectual property issues. OSU affiliated unit that makes seed stage investments in companies commercializing OSU technologies. Dedicated to the advancement of Native American students on the OSU campus. Known as FAPC, helps Oklahoma citizens, businesses and OSU faculty, students and staff develop food and agricultural products and processes. Unit that focuses on both clinical and business model innovations in health care. Various Colleges on OSU Campus Each college on the OSU campus in engaged in entrepreneurship-related activities in some manner. Fully equipped 3,700 square foot FabLab open to the general public. Located in Tulsa, OK. Private, non-profit corporation focused on funding and growing innovative small businesses in Oklahoma. Formalized group of angel investors, managed by i2e, that funds early stage technology companies. Formalized group of angel investors, which is comprised of alumni and friends of Oklahoma State University, that funds early stage technology companies. An 11,000 square foot facility which will serve as a basecamp for Tulsa’s entrepreneurial community (scheduled to open Nov 2015). The School of Entrepreneurship is a founding partner, and will have a permanent office in the facility. Agency of the government of Oklahoma that is responsible for technology-based economic development. Is responsible for fostering innovation in existing and developing businesses by supporting basic and applied research. National, non-profit organization that provides funding and support to college programs that are promoting entrepreneurship and assisting students in launching new ventures. Provides a curriculum of one to two year program in areas such as cosmetology, culinary arts, digital media and welding. Also has a new business incubator. Located in Stillwater, OK.
Philanthropic foundation established in 1997 by Bill Lobeck and Kathy Taylor. Is active in supporting entrepreneurship and developing the entrepreneurial ecosystem in Tulsa, OK. Instrumental in the development of 36 Degrees North. A charitable organization based in Tulsa, OK, dedicated to providing equal opportunity for young children through investments in early childhood education, community health, social services and civic engagement. Also supports entrepreneurship in Tulsa, and was instrumental in the development of 36 Degrees North. Non-profit association of businesses, industry and individuals interested in the economic growth and quality of life in Stillwater, Oklahoma.